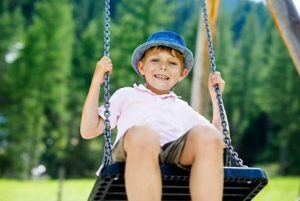 Things to Consider When Choosing the Flooring For Your Playground | Rubber Safe Playgrounds Inc.
Do you want to make sure the playground at your school, park, or other play area is as safe as possible? Of course you do! One way to improve the safety of your playground is to select the right flooring for it. You’ll have plenty of options to choose from, but before you make a final decision, there are a number of things you should consider. Here are just a few of them. How much ground do you need to cover? The first thing you should think about when looking for flooring for a playground is how much ground you actually need to cover. If you have a lot of ground, you want to go with a flooring type that won’t break the bank. Rubber mulch can give you all the coverage you need at an affordable price and allow for you to maintain your flooring over time to keep it nice and even. How much use is your playground going to get? In addition to considering how much ground you’ll need to cover, you should also think about how often your playground is going to be used. If there are going to be kids playing on it almost everyday, you need flooring that is durable and built to last for a long time. Rubber mulch will stand up to constant wear and tear and perform well over the long haul. How quickly do you need to get your hands on flooring? Many playground installers make the mistake of forgetting about flooring until the last minute. They put up a playground and then suddenly remember they need to figure out what to do about the flooring. If you need to get your hands on flooring quickly, rubber mulch is something you can have sent to your playground site immediately. You can also install it a lot easier than other flooring types. Would you like to learn more about the benefits of using rubber mulch for flooring on a playground? Rubber Safe Playgrounds can tell you all about the benefits of it. We can also supply you with as much of it as you need. Call us at 630-330-6589 today to place an order.